For 125 years, Columbia Records has remained one of the most vibrant and storied names in prerecorded sound, nurturing the careers of legends such as Bessie Smith, Frank Sinatra, Barbra Streisand, Miles Davis, Bob Dylan, Johnny Cash, Bruce Springsteen, Beyoncé, and many more. 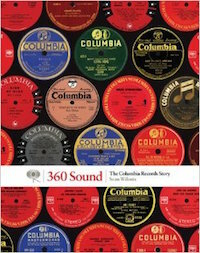 Written by distinguished historian Sean Wilentz, 360 Sound tells the story of the label's rich history as it interweaves threads of technical and social change with the creation of some of the greatest albums ever made. Featuring over 300 rare and revealing images from the Columbia archives, this lavishly illustrated celebration is a must-have for any serious music fan.